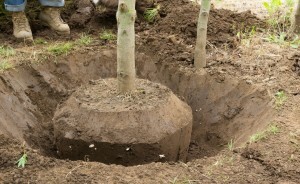 Our goal is to look after a range of your Tree Lopping needs. Call us today! 0412 556 308 Call us today! Keep your property pretty and your family safe with some local help. Urban Tree Lopping consists of arborists in Perth, WA. We are professionally qualified to manage plants and shrubbery to ensure that your space is safe, secure and left looking more attractive than ever. 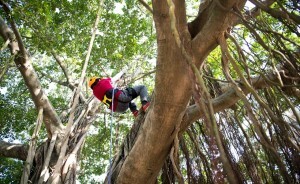 Tree pruning and trimming is an essential part of keeping your garden attractive and safe – overhanging branches are more exposed to high-winds, potentially leading to dangerous falls. Allowing plants to grow wild can also hurt the image of your home, potentially decreasing your property value. With the market exploding at the moment, you can’t afford not to keep your home looking gorgeous. Our Tree Lopping experts are some of the most experienced in the WA arborist industry and have had extensive experience in pruning, hedging, removals, clearings, stump grinding and more. We service suburbs all around Perth from Yanchep to Mandurah. We’re available seven days a week, 24 hours a day – so if you find yourself concerned about a big plant that looks unstable at 7pm on Sunday evening, you can call us. Contact us at any hour of the day at our Perth office by phone at 0412 556 308 or via email at info@urbantreelopping.com.au. Get a quote fast (and have that dangerous branch or rotten stump removed quickly, affordably and well!). General tree pruning and trimming: This practice will alter how a plant grows and forms. During the formative years of a plant, trimming and pruning is a great way to prevent future problems. Block clearing: Our tree loppers will ensure that your block of land is level and ready to build on. Tree removal: For overhanging branches, dangerous or in-the-way growth, sometimes outright removal of the tree is the best option. 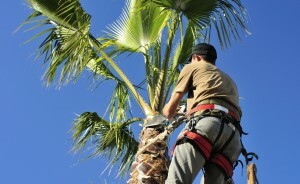 We specialise in palm tree removals across the Perth region. Insurance work: We’re fully insured and have full public liability ($10 million) plus works compensation and full comprehensive vehicle. Stump grinding: Rotting stumps attract pests and need to be removed for safety. We can conduct stump grinding quickly and efficiently. With more than half a decade of experience as tree loppers and arborists, we are confident we can provide the service you need, how you want it and when, all with minimum fuss. Our skilled technicians have seen it all and are ready to use that experience to your advantage! 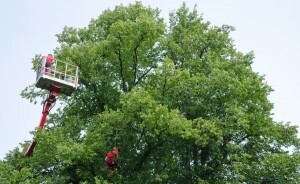 Urban Tree lopping were very professional and affordable. They got back to me straight away with a quote, were very efficient and left the place very clean.